Trying to lose weight is, for most of us, vexing, exhausting, and filled with contradictory information. In a 2016 article published in The New York Times Magazine, author and neuroscientist Sandra Aamodt notes that there's a robust body of research showing that "in the long run dieting is rarely effective, doesn't improve health, and does more harm than good." The crux of the issue, Amodt writes, is the fact that each person has what's referred to as their body's "set point" — a certain weight range that "varies from person to person, [and] is determined by genes and life experience." The brain will engage in all sorts of tactics to bring the dieting body back into its set point range, and this is why diets so often fail. The combined effect of all this information — to say nothing of how hard it can actually be to lose weight — can quickly lead to a sense of paralysis and feeling overwhelmed. To say that it's fraught would be an understatement akin to noting that the Titanic had a small misunderstanding with an iceberg. If diets aren't an effective means of long-term, sustainable weight-loss, then what can help people shed some pounds without the negative consequences of dieting? We spoke with some experts on the matter, and they helped clear away the confusion. One sneaky piece of the weight-gain equation is, surprisingly, stress. And even celebs aren't immune to life stress leading to packing on the pounds. As Doctor Fatima Cody Stanford explained to Glamour, "A large majority of my patients will gain weight when they have stress." And she would know: Doctor Stanford is an obesity medicine physician at Massachusetts General Hospital and instructor of medicine and pediatrics at Harvard Medical School. She added that this typically happens in cases of chronic stress: "[t]here's a certain threshold by which people can identify when they feel that burden of stress, beyond daily life stress…. Usually when that threshold has been reached is when we see the battle with weight regulation." Why does this happen? 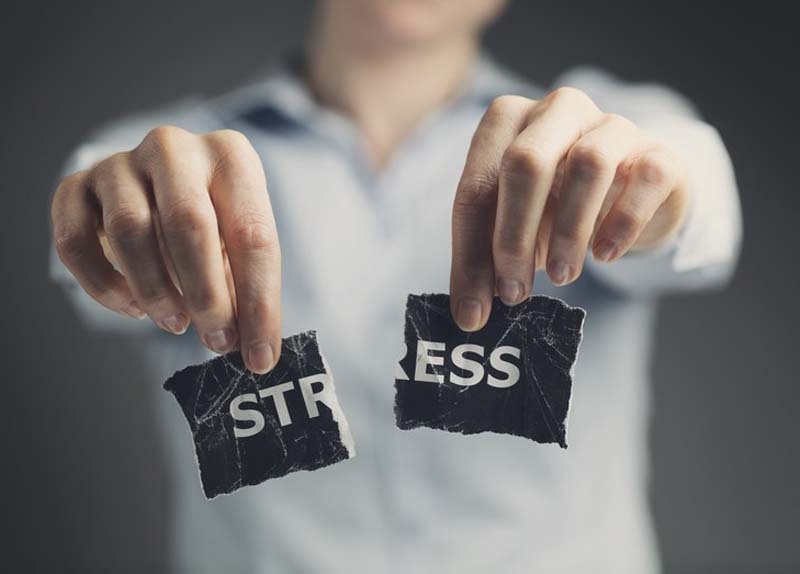 Kate Klein, a naturopathic doctor based in Durham, Ontario, told us that stress causes our bodies to produce high levels of the hormone cortisol. Cortisol "leads to insulin spikes, which then makes our blood sugars drop, leading to cravings of sugary and/or salty food," and can lead to "emotional eating [and] over-eating," Klein explained, which is quite a double-whammy when it comes to weight-gain. Since stress makes our bodies pack on the pounds, one of the best things we can do for both health and if we're trying to lose weight — and this is some of the best health advice ever, short of being ordered to go sit on a tropical island — is to relax. According to Klein, "Learning to cope with stress in healthy ways such as exercise, meditation, mindfulness, etc. can help control or manage our stress, which in turn may lead to weight-loss." 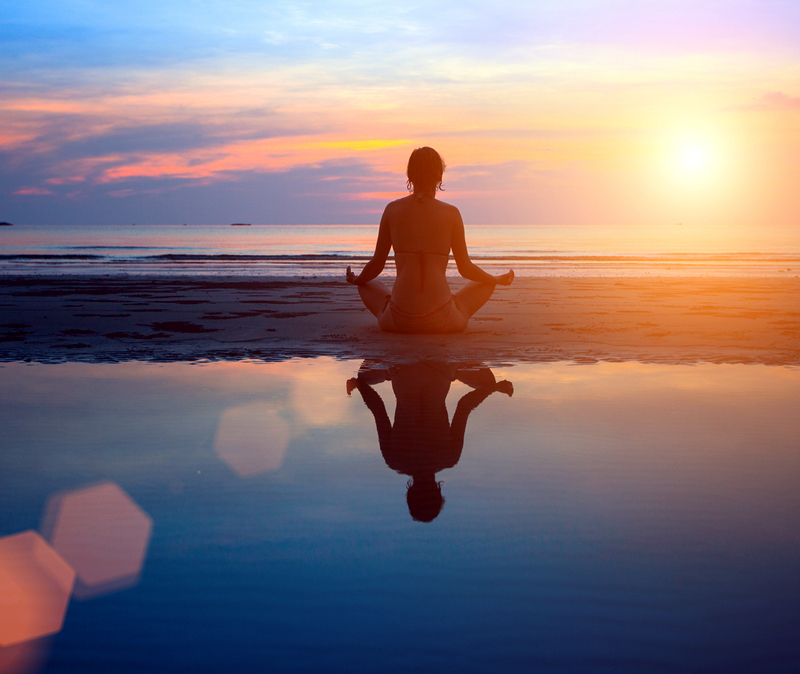 Janis Isaman, a Calgary-based trainer and nutrition coach, told us that yoga, especially relaxing types such as yin and hatha, are "one of the ways to down-regulate the nervous system. If you are bombarded with physical or mental stress, busyness, noise, people all day, you need to try this as a tool to calm your body down. Calmer bodies reach for food less often and store food differently." So when you're feeling frazzled and in need of a break, remember: not only is relaxation good for your overall health, it can even help with your weight. You've probably heard that if you want to lose weight, you should drink more water. That's not all, because the benefits of water are touted all over the internet. Whether you believed in water's ability to help you lose weight in the past or not, our expert said it's totally true! 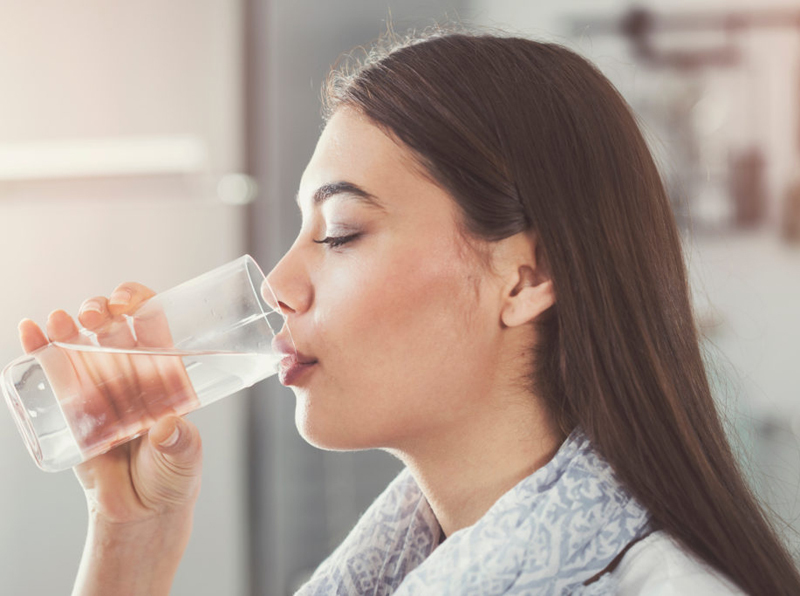 Rebecca Kerkenbush, a clinical dietician in Watertown, Wisconsin, explained that increasing your water intake — and if not plain water, then other low-calorie or no-calorie beverages like sparkling water, seltzer water, or tea — can help control your appetite. "Our body may signal hunger when in reality we're thirsty," she explained, which can lead to unnecessary food consumption when what you really need is some water. Also, she noted, "adequate hydration can also aid with digestion," so you derive multiple benefits from staying attached to that water bottle. Even though some no-calorie beverages have the same benefits as water, the weight loss benefits don't necessarily apply to diet soda. So choose your beverage carefully. While it's easy to associate the idea of high protein intake with those uber-manly tubs of protein powder and biceps the size of the Space Shuttle, eating extra protein can greatly help with weight-loss efforts. Kerkenbush recommends eating 20 to 30 grams of protein per meal, and notes that it can "help with satiety and stabilizing blood sugars." Lauren Harris-Pincus, a registered dietitian specializing in weight management, told us via email that eating a high-protein breakfast is especially important. "Most people do not eat enough protein at breakfast," she explained, noting that it's important to "distribute protein throughout the day to maximize muscle growth and repair and prevent muscle loss as we age." Harris-Pincus added that eating a breakfast rich in fiber and protein will keep you feeling full and satisfied for longer, and can help keep mindless snacking to a minimum. Where to get all that protein? Kerkenbush recommends looking to foods like lean meats, nut butters, seeds, low-fat or non-fat dairy products, seafood, and tofu. In news that likely won't come as a surprise, exercise is a key component if you want to lose weight without going on a diet. However, there are some surprising details about how and when you exercise that can have an impact on weight-loss efforts! For example, a study published in the Journal of Science and Medicine in Sport and explained in Prevention by trainer and fitness writer Linda Malone, women who ate a high-protein meal before exercising burned more calories than women who exercised on an empty stomach—so if pre-breakfast sweat sessions aren't your thing, there's no need to force yourself to do it in the name of a better calorie burn. Additionally, according to a study published in the Journal of Endocrinology, men who exercised more intensively, and for a longer period of time, had lower levels of ghrelin—a hormone that stimulates hunger—than men who participated in moderate exercise. While the link between exercise and ghrelin levels isn't clearly understood, the study suggests that long stretches of vigorous exercise may help keep hunger at bay. 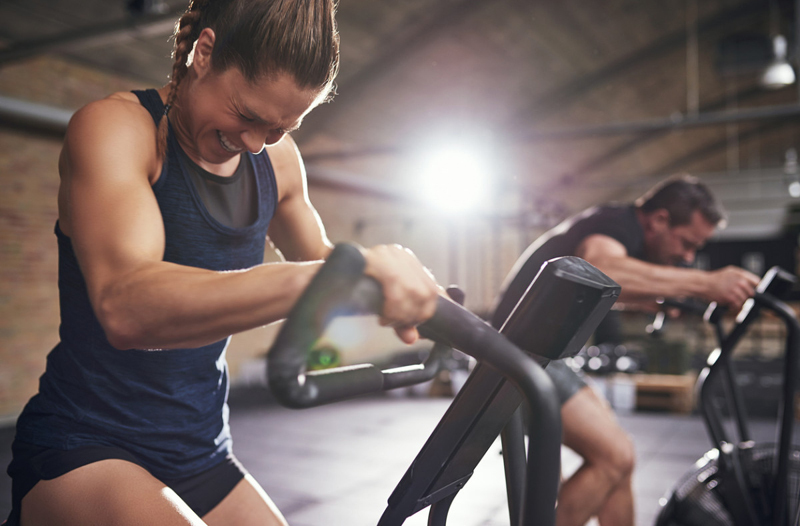 If exercising for a long time isn't your cup of tea, strength training and high-intensity interval training — or HIIT — can also be highly effective — possibly even more so than long bouts of cardio. Robert Herbst, a personal trainer and powerlifter, noted that cardio can sometimes lower your metabolism. "We are still designed to be hunter gatherers," he explained. "When someone does a long bout of cardio such as a half hour on the treadmill, their body perceives that as being part of a long and uncertain search for food, so it adapts and becomes more efficient to conserve energy." In that effort to conserve energy, the metabolism slows down and people burn fewer calories. Herbst told us that strength training, by contrast, involves "doing complex multi-joint movements such as squats, lunges, and deadlifts," which can increase your muscle mass. And an increase in muscle mass also means an increase in metabolism, including an increased calorie burn even hours after you stop strength training for the day. 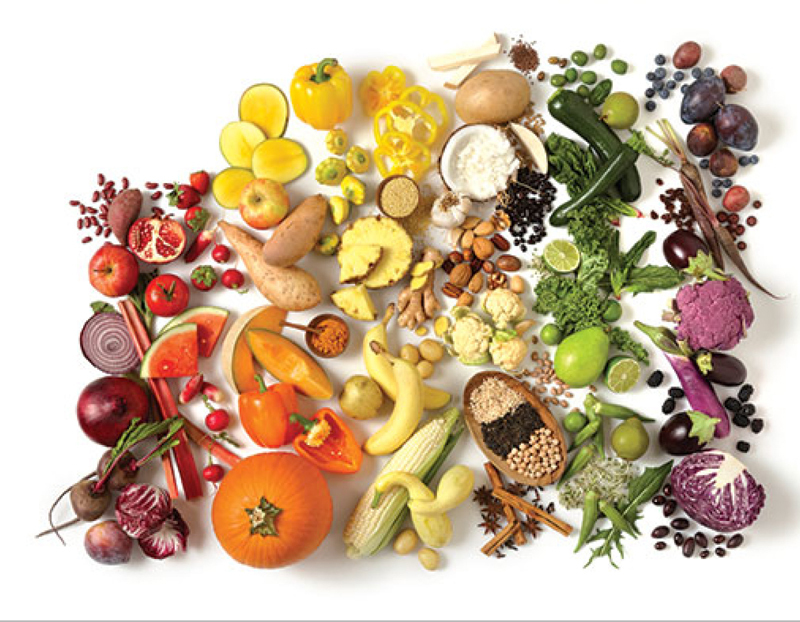 Skittles may have the market cornered on the phrase "taste the rainbow," but that idea is even more important when it comes to fruits and veggies. By eating a wide variety of brightly-hued produce, you can be sure you've consuming a healthy amount of vitamins and minerals, important if you want to lose weight. As Nutrition Australia notes, foods like sweet potatoes and carrots are loaded with beta carotene, and dark leafy greens are excellent sources of folate. Jenny Dang, a registered dietitian in Washington, D.C., elaborated on this further, noting that there are many ways to do this, including having a piece of fruit (such as a banana) with breakfast, eating a small salad with most meals, and adding more veggies to foods like pizza and soup. "Whether its fresh, frozen, or canned, the more fruits and vegetables in your meals, the more it can support weight-loss and a healthy lifestyle," she said. And while you're eating that rainbow of produce, you can more easily manage portion control by eating on smaller tableware. Acupuncturist and integrative medicine specialist Elizabeth Trattner notes that instead of using food scales and measuring cups for exacting, precise food portions, an easier solution is to eat in a small bowl or on a lunch plate. "Dinner plates already give you way too much food unless you're eating a big salad," she explained. "Switching out for a smaller plate takes no effort whatsoever and takes the guesswork out of portions." 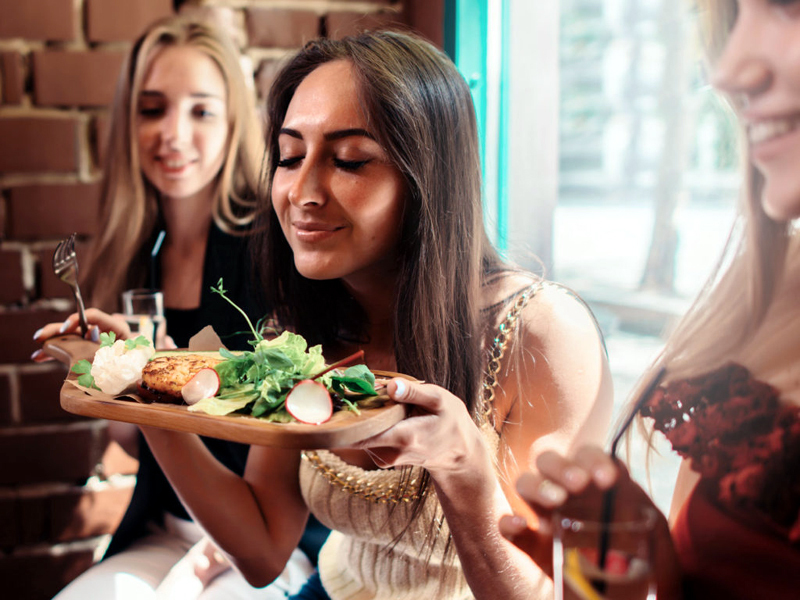 The concept of mindful eating has gained traction in recent years, and it comes highly recommended by all the experts we spoke with. Harvard Medical School explains that the ideas behind mindful eating are "based on the Buddhist concept of mindfulness, which involves being fully aware of what is happening within and around you at the moment." "Applied to eating," the Harvard Health Letter continues, "mindfulness includes noticing the colors, smells, flavors, and textures of your food; chewing slowly; getting rid of distractions like TV or reading; and learning to cope with guilt and anxiety about food." Registered Dietitian Julia Grocki told us that "stress-eating and mindless eating are the biggest barriers to weight-loss in this country. Those behaviors cannot be 'fixed' with dieting," she explained. "In fact, dieting often makes disordered eating patterns worse. A person has to learn to rewire their thoughts about food and themselves, which is what mindful practice can do." 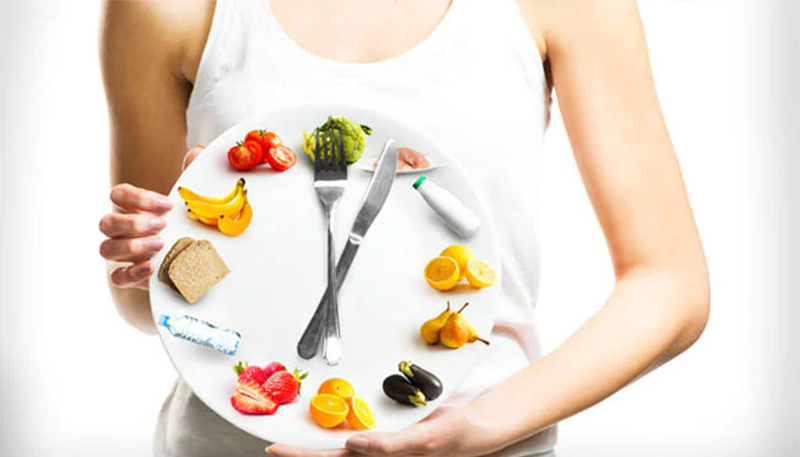 Similarly, internal medicine specialist Jennifer Bellino noted that because "it takes time for your stomach to signal to your brain when you are full, eating too quickly can lead to taking in extra calories." With that in mind, it's important to pay attention to the taste and texture of your food—which means not eating while watching TV or working on your computer. Instead, Bellino recommends taking time "to sit and eat, eat slowly, and enjoy your meal." While exercise is critical to lose weight without dieting, registered dietician Liz Shaw told us that incorporating movement into your daily life can be another effective tool. Via email, Shaw explained a concept called non-exercise activity thermogenesis, or NEAT: the idea that "unplanned fitness behaviors can [really] add up in the long run." These behaviors include things "that may sound mundane but are actually so simple," such as consistently taking the stairs everywhere you go, parking at the back of each parking lot you pull into. Doing this all the time time, Shaw noted, will add up to a greater caloric burn. Consistency is key! Personal trainer Rui Li echoed this idea, noting, "Avoid elevators whenever possible, especially if it's just one or two flights." Li recommends taking the stairs instead, noting that "The key to utilizing more energy stores is simply doing more, so the perfect opportunities are when you have stairs available. With escalators, simply walk up them." Additionally, personal trainer Laura Arndt offered that it can be helpful to "Build your social life around activities that require movement." For example, she explained, "[i]nstead of meeting a friend for lunch, meet a friend for coffee and a walk around the neighborhood or a yoga class together." This will help you maximize your time, since you can simultaneously socialize with friends and family while burning some calories. Sleep-deprived masses, unite! If you needed more incentive to get some shut-eye, it's worth noting that getting enough sleep can help you lose weight. According to a 2006 study published in the American Journal of Epidemiology, sleep restriction affects your metabolism in a way that makes it easier to gain weight. The analysis, which tracked the weight and sleep habits of women participating in the Nurses' Health Study, found that women who slept five hours per night gained slightly more weight than women who slept for seven hours. A 2013 study, also published in the American Journal of Epidemiology, found that participants who reported getting fewer than six hours of sleep per night also gained more weight, and that among participants who were not obese when the study began, "sleeping less than 5 hours was associated with a nearly 40 percent increase in the risk of developing obesity compared with sleeping 7–8 hours each night." What's the link between sleep and weight? While researchers aren't 100 percent sure how they're associated, Bellino explained that hormones play a role. "You can easily overeat when you are tired, [because] your body relies on certain hormones to tell you when you're hungry," she said. When you're sleep deprived, those hormones can run amok, making you look for a quick energy hit in the form of sugars and simple carbohydrates. So, Bellino says, "put on those comfy jammies and make it an early night." Don't sleep on that advice!